It is common to use an extremely trendy tuxedo in a marriage or prom parties. 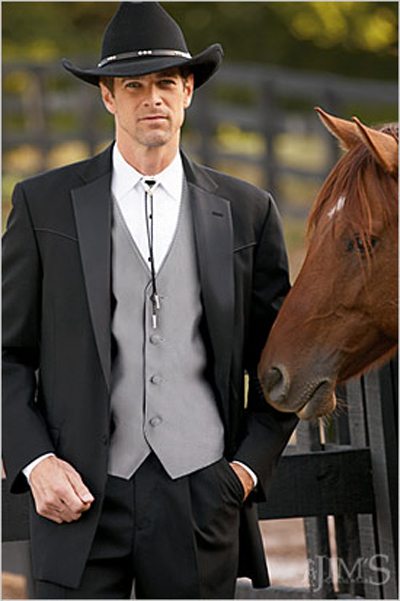 One will find well fitting formal wear suits at Rose Tuxedo . We have three rental shops in Arizona at different locations and one of them is near Peoria. Tuxedo formals are expensive formal wear dresses and so it is not sensible to shop for a suit before a standard gathering party for purchase. We have an enormous style of men’s tuxedo suits and in numerous colors for rent. Tuxedo rentals Peoria AZ has never been more easy for all your men’s formal wear events. Tuxedo rentals Arrowhead Mall AZ has never been closer. Rose Tuxedo is on the West side to serve you. We also provide help and guidance in choosing the right design and style of formal wear that you may use for the specific occasion. We show the right choice of tuxedo vests that will surely suites with the mood of the event party and occasion to our customers. We have all types of tuxedo and suits rentals that suits every kind of men and give them a perfect look at any occasion, either it is a formal meeting or prom night or even at funerals. While choosing the color of tux you have to be sure about the timing on the function and form of gathering. For example, if you are going to a club party or prom night where couples are generally allowed then ensure what your companion is using is a tux because in such parties ones outfit should match the color of your companions outfit. It is very essential to go with recent trends so keeping this in mind. We provide trendy tuxedos and apparels to our customers. AZ Tuxedo and Suit rentals fabrics are of very superior quality and we have a wide range of colors options too. Some of the tux styles available at our shops are double breast jackets, single breast button down jackets, three buttons jackets, padded shoulder jackets and many more. In selecting the right tuxedo, the physique of the person is the utmost to consider. The tuxedo should not only indicate elegance. However, it should also flatter one wearing the tux. And so, the tuxedo will be able to enhance the full. To select a right suit is reasonably complicated given it depends on your body kind, personality as well as personal decision. So, we provide the AZ tuxedo and suits rentals in all sizes ranging from a three year old child to heavy physique men. We also deal with rented and stylish accessories that may suit to everyone’s tastes. We have different sorts of vests, cummerbunds, Tux shirts, leather shoes, Bow ties, plus more. All such accessories do not merely add style and grace they also complete your formal wear appealing looks too. We are open 7 days for your comfort when you might come to rent a tuxedo for yourself or your child and there is no need for advance appointment or booking for renting a tuxedo even as we provide same day service.